Visit the One-Stop home page for the top news stories and program updates. On Thursday, April 18, 2019 the Westchester-Putnam Workforce Development Board, in conjunction with the Business Council of Westchester, will host the Eighth Annual Youth Summit for individuals ages 16 – 24. The theme of this year’s Summit is “Test Drive a Career Path” with the goal for attendees to spend the day “test driving” potential career opportunities to get hands-on experience, uncover talents, and discover how interests and passions can build a bright future. There is no cost to attend and complimentary breakfast and lunch will be provided. Advance registration is required by April 11, 2019 by visiting www.thebcw.org. The Summit will take place at Crowne Plaza Hotel at 66 Hale Avenue in White Plains, New York from 8:30 a.m. to 3 p.m.. Registration will take place at 8:30 a.m. and programs will begin at 9 a.m. Free parking is available at the hotel. Aviation – an exploration of career pathways on the ground and in the air. Healthcare – opportunities abound to work with medical professionals in all specialties. 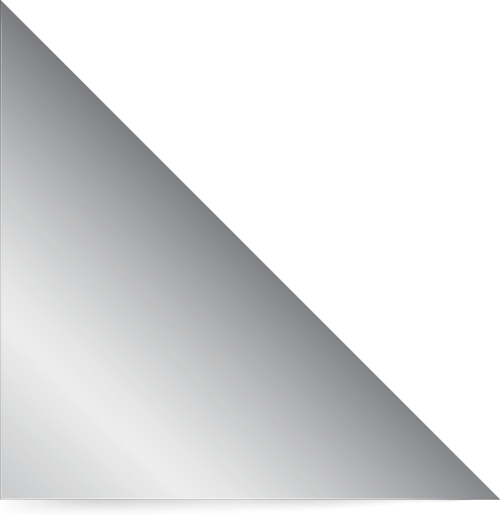 Technology – you could be designing the next big app, video game, or electronic device. Hospitality/Culinary – a wide variety of careers where a passion for food and/or travel can take you all over the world. Skilled Trades – opportunities to use your hands in skilled professions like construction, plumbing, and electrical. This year’s Keynote Speaker is Orane Barrett, Founder and Chief Executive of Kool Nerd Club. Kool Nerd Club is a “digital guidance counseling” company with a mission to provide more information about and earlier exposure to S.T.E.M.-related careers to students in high school. Kool Nerd aims to address the skills gap dilemma facing employers today and ensure diverse Americans are part of the future talent supply. Orane earned a B.S. in Chemical Engineering from University of Rochester and an MBA from MIT’s Sloan School of Business. Prior to founding Kool Nerd Club in 2016, Orane had a career in finance and operations management with such firms as Credit Suisse, UBS, and Intel. “The Youth Summit is a hands-on interactive day where youth can hear about in-demand business sectors, learn valuable workplace skills, interact with local business owners, and workforce agencies, and of course, “test drive” potential careers that will match their passions to potential career pathways. We are grateful to our partners from the business community who understand the value in preparing youth for the workforce,” stated Nicole Paige, Interim Director of Workforce & Employer Development for the Business Council of Westchester. “It's great to aspire to go to college, but that's not the only route to get a great job. We need to work with our educational institutions to get them more information about the varying routes to certain jobs and how to get credentials and certifications, not only from four-year colleges but the community colleges and BOCES,” expanded Thom Kleiner, Executive Director, Westchester-Putnam Workforce Development Board. The event is coordinated through the Business Council of Westchester and offered under the auspices of Westchester-Putnam Workforce Development Board and sponsors, NY Institute of Technology, Wegmans, and Veekast. Register online at www.thebcw.org by April 11. Call Nicole Paige at (914) 948-2110 Ext. 303 for more information. 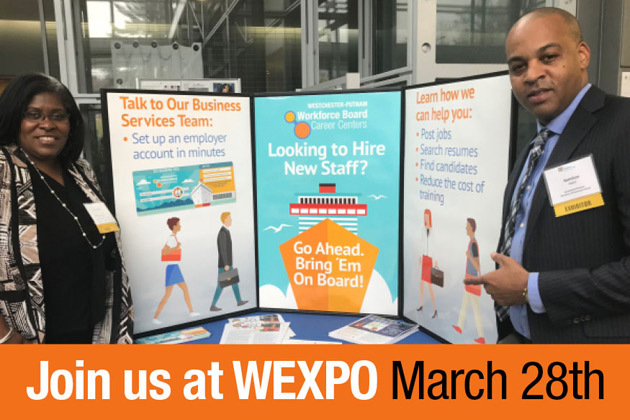 March 7, 2019 - If you’re looking to hire and train new employees or retrain existing staff, then the Westchester Business Expo (WEXPO) is the place to be on March 28 at the Hilton Westchester. The Westchester-Putnam Workforce Development Board (WPWDB) and Career Center staff will be on-site to explain how companies can find qualified employees through the Career Center Network’s on-site job fairs and online job portal, as well as access to funding for On-the-Job Training (OJT) for new workers and Customized Incumbent Worker Training (CIWT) for existing employees. 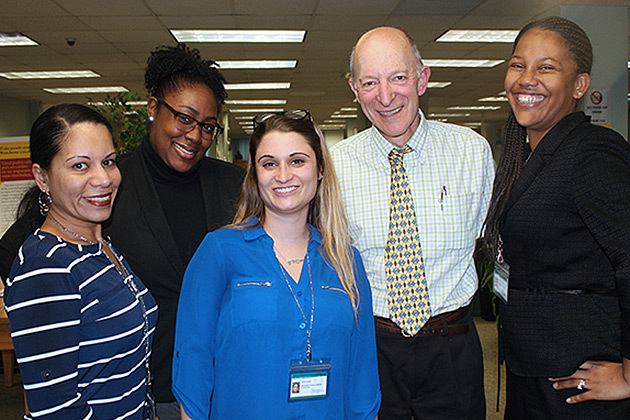 On Friday, Feb. 1, The Westchester-Putnam Workforce Development Board (WPWDB) kicked off the “Volunteer Income Tax Assistance” (VITA) Program at the Career Center located at 130 Mount Vernon Avenue, Mount Vernon, NY. On Friday, Nov. 2, 2018, the African American Men of Westchester in partnership with the Business Council of Westchester hosted their 28th Annual Brotherhood Breakfast. 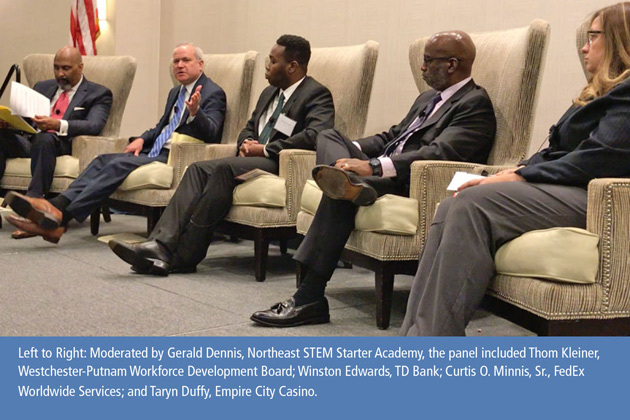 This year’s breakfast featured a panel discussion of the topic "Investing in a Stem-Literate Workforce." 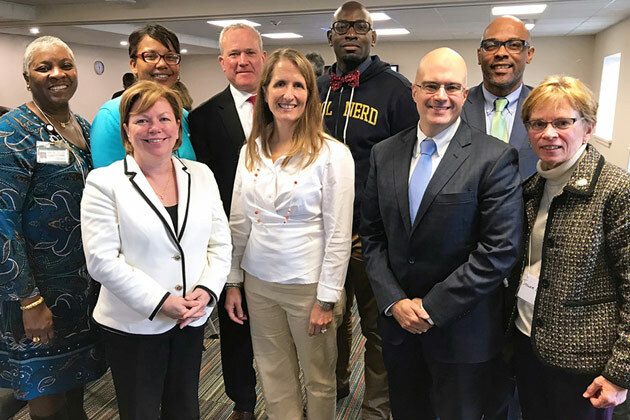 The Westchester-Putnam Career Center Network, led by Thom Kleiner, and the Office of Economic Development, under the direction of Bridget Gibbons, are partnering with higher education and County businesses to develop ways to fast-track training for individuals looking for employment. This creative new collaborative effort is not only helping businesses hire trained employees, but also underscores the reality that a college degree is not the only path to employment. Nov. 5, 2018 -- The Westchester-Putnam Workforce Development Board presented a high-level learning and discussion symposium on October 24 at the Mount Vernon Career Center (130 Mount Vernon Avenue, Mount Vernon, NY, 10550). Panelists from recruiting, workforce development, colleges, economic development, and area businesses discussed multiple issues surrounding the current talent shortage. 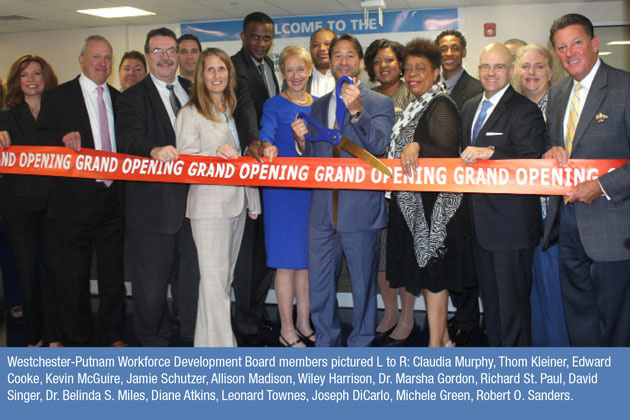 Oct. 24, 2018 -- On Thursday, Sept. 27, 2018, the Westchester-Putnam Workforce Development Board and staff members from the Mount Vernon Career Center celebrated the Center’s new location with a ribbon-cutting ceremony. 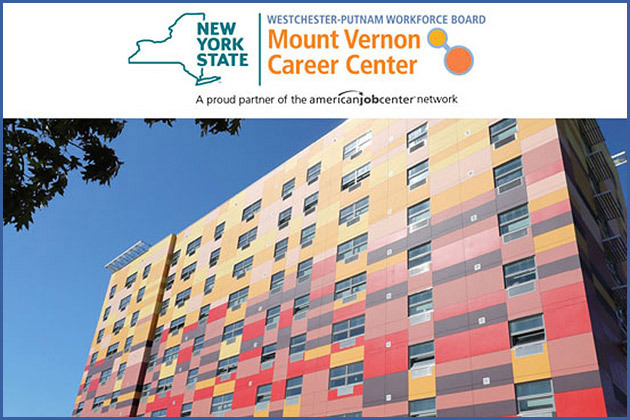 Officially opened on April 10 at 130 Mount Vernon Avenue, the Mount Vernon Career Center is conveniently located within walking distance of the Mount Vernon West Metro North station to better serve Westchester County residents seeking employment services. 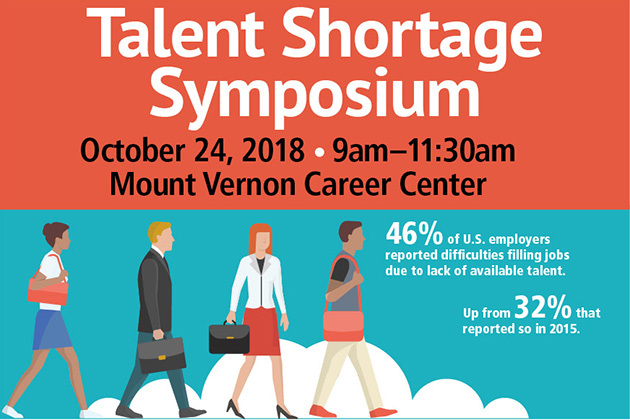 Oct. 15, 2018 -- Nearly half (46 percent) of U.S. employers report difficulty filling jobs with qualified candidates, according to the Manpower Group 2018 Talent Shortage Survey. To help staffing, training and recruiting professionals, the Westchester-Putnam Workforce Development Board will present a high-level learning and discussion symposium, Oct. 24, 2018 9 – 11:30 a.m. at the Mount Vernon Career Center located at 130 Mount Vernon Ave., Mount Vernon, NY, 10550. The Westchester-Putnam Workforce Development Board (WPWDB) is looking for people of all professional backgrounds and experience levels to help administer its popular Volunteer Income Tax Assistance (VITA) Program. 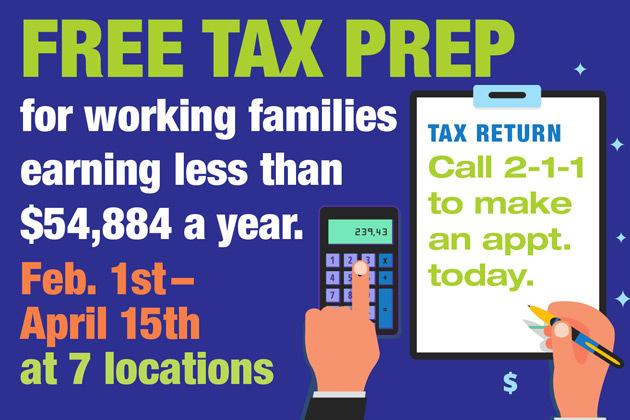 The program, which will run from Feb. 1 to April 15, 2018, will help low and moderate income individuals and families eligible for the federal Earned Income Tax Credit (EITC) file their taxes and maximize their returns. 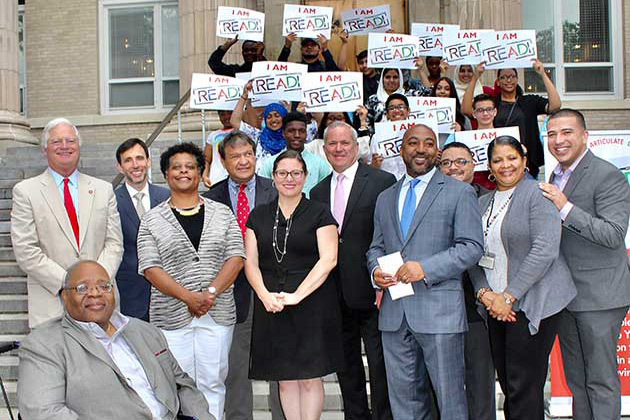 June 28 -- On Wednesday, June 27, 2018 at noon, the Westchester-Putnam Workforce Development Board, My Brother’s Keeper Challenge, Westchester Children’s Association and The Guidance Center of Westchester hosted an official launch and press conference for the READI program. July 23, 2018 -- On June 26, 2018, the Westchester-Putnam Development Board (WPWDB) celebrated a successful year of collaboration between state and government agencies, non-profits, public education, and the private sector to strengthen the skilled labor force in the two counties. The event kicked off with the Board’s Annual Breakfast Meeting led by Thom Kleiner, WPWDB Executive Director. 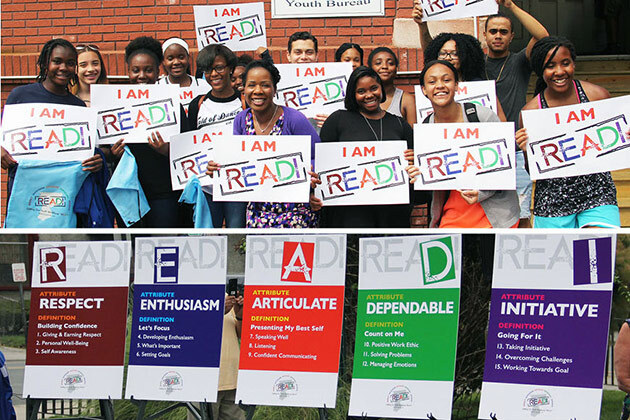 The City of New Rochelle will host an official launch and press conference for the R.E.A.D.I. program on Wednesday, June 27, 2018 at 12 Noon. READI represents the workplace attributes Westchester businesses look for in youth they hire. June 26, 2018 -- After being out of work for over a year, Maribel Valencia-Barajas has a new job as a medical assistant/medical records specialist at Westchester Neurological Consultants in Yonkers. Her position is all thanks to Jobs Waiting, a federally-funded regional job training partnership which trains long-term and short-term unemployed individuals for jobs in the region’s fastest growing sectors. 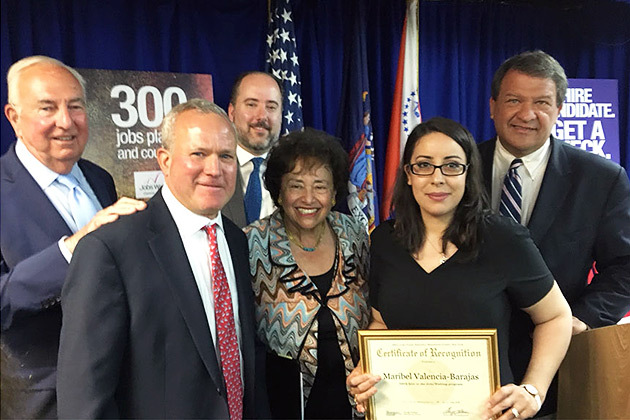 Valencia-Barajas is the 300th individual to obtain employment through the program, a milestone announced today by Westchester County Executive George Latimer at a press conference in White Plains. 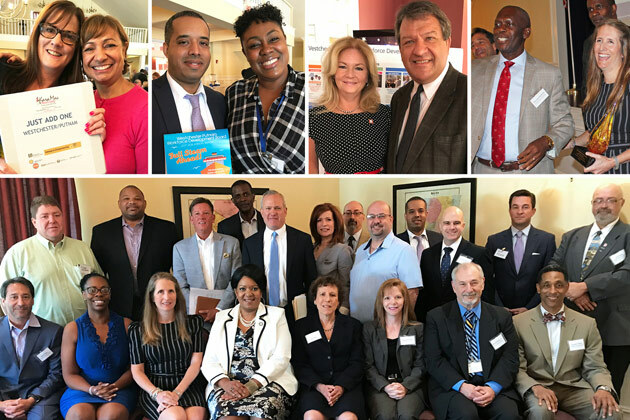 June 7, 2018 -- Westchester County Executive George Latimer and Putnam County Executive MaryEllen Odell invite businesses, community youth organizations, civic and educational leaders from across all sectors, to participate in Westchester-Putnam Workforce Development Board’s Annual Meeting on Tuesday, June 26 from 8:30 to10:30 a.m. at Putnam National Golf Course in Mahopac, NY. 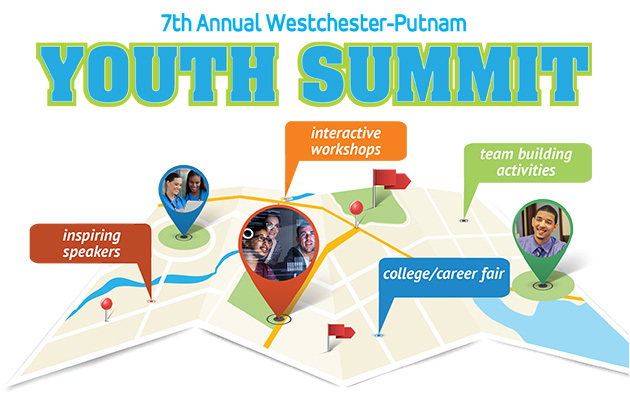 On Wednesday, April 4, the Westchester-Putnam Work Development Academy for Youth and the Business Council of Westchester will host the Seventh Annual Youth Summit for individuals ages 16-24. The theme of this year's Summit is "Navigate to Your Career Destination"
Feb. 15, 2018 -- Six staffers from the Westchester-Putnam One-Stop Career Center completed Business U’s Business Engagement Practitioner Certification Course, a rigorous eight-week program designed to guide them in better understanding the needs of employers seeking to hire new employees, and train current ones. The One-Stop employees were Dr. LaTasha Hamlett-Carver, Employment and Training Specialist, Fawn Fisher, Employment Counselor, Judith King, Job Development Specialist, Leslie Megget, Employment Counselor, Melissa Thompson, Employment Counselor and Andy Wainer, Job Development Specialist. 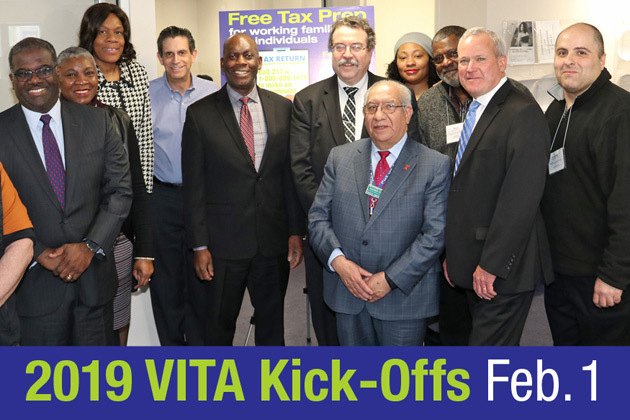 Jan. 25, 2018 -- The Westchester-Putnam Workforce Board will once again offer its popular free tax preparation assistance to Westchester residents through a program called VITA. 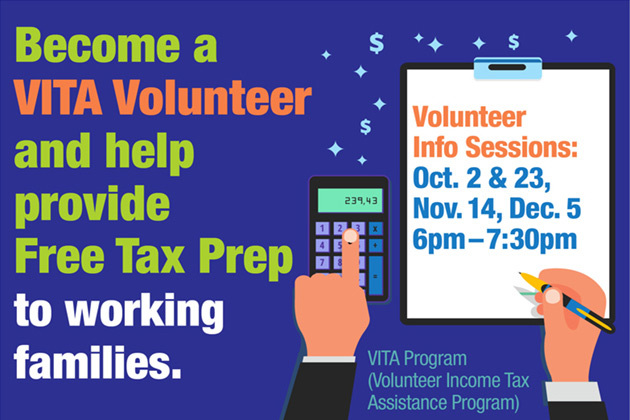 The Volunteer Income Tax Assistance program offers free tax help to people who generally make $54,500 or less, persons with disabilities, and limited English speaking taxpayers who need assistance in preparing their own tax returns. IRS-certified volunteers provide free basic income tax return preparation with electronic filing to qualified individuals. In 2017, 9,280 Westchester taxpayers received more than $11 million in refunds and $4 million in tax credits. 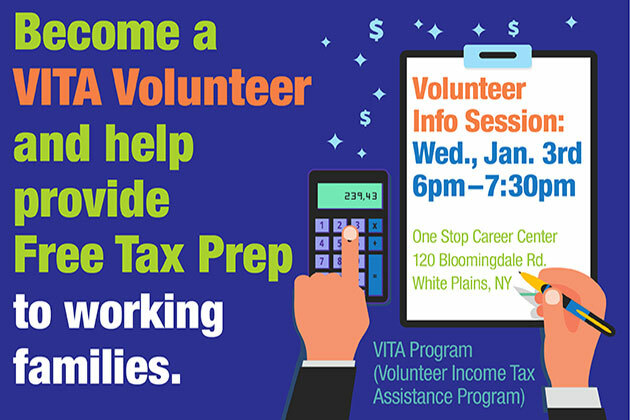 Westchester County, NY -- Dec. 1, 2017 -- The Westchester-Putnam Workforce Development Board (WPWDB) is looking for people of all professional backgrounds and experience levels to help administer its popular Volunteer Income Tax Assistance (VITA) Program. 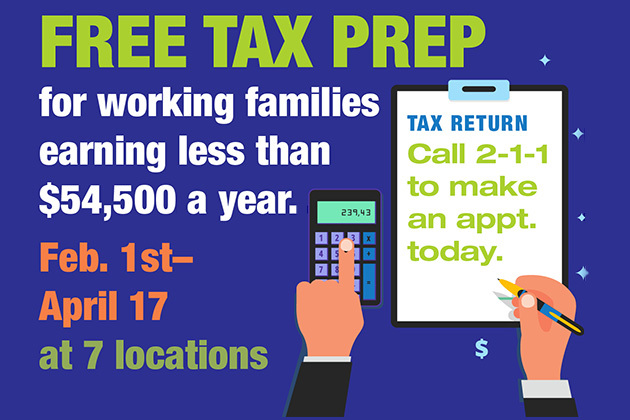 The program, which will run from Feb. 1 to April 17, 2018, helps low- and moderate-income individuals and families eligible for the federal Earned Income Tax Credit (EITC) file their taxes and maximize their returns.